Finally, Property Management Services the way it is supposed to be. With cutting edge technology and the power of the top Real Estate brand in the world behind it. Dedicated lead response team working 7 days a week. Flexibility and experience to capture all renters from tech savvy millennials to downsizing baby boomers. Full service maintenance using vetted expert tradesmens so the jobs gets done right! 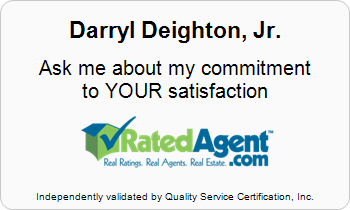 I am Darryl Deighton a Colorado Springs native and a third generation Realtor in Colorado Springs. My wife and I raise my 2 children in this wonderful community. I have worked for RE/MAX Properties, the #1 real estate firm in town, for 10 years. I take absolute pride in using all the technology tools available to help you rent or sell your home in Colorado Springs. I also work with you one on one to provide the advice and customer service you need to successfully navigate an often complicated housing transaction. RE/MAX Properties handles more real estate transactions in the Colorado Springs are then anybody else in town. See what the power of the top company can do for you in your next deal. RE/MAX has the top real estate brand in the world, and I combine that branding power with my local knowledge to give my clients the best representation available. I give you more options. My experience as a professional Property Manager, Licensed Realtor, experience distressed property seller, investment "flipping experience" and RE/MAX Hall of Famer will help you reach your housing goals. I am not predisposed to selling your home a certain way. I am open to the best option for you and each case is different. I will sell your home, rent your home, rent your home for two years then sell your home, find an investor to do a quick purchase of your home. Whatever is in your best interest I'll do that.